I was short on time this past weekend, so I took a little break from my (very slow!) progress on the 31 Day Challenge to do a little quick stamping manicure. 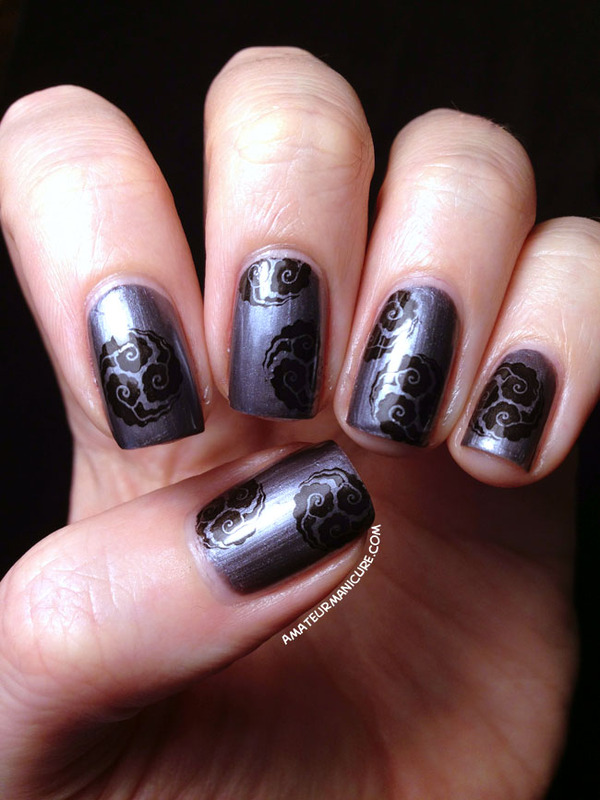 I started with a base of Zoya Freja and then stamped this pretty little wind/cloud-like design* from the Messy Mansion MM09 plate using Essence Stampy Polish in black. Not too much else to say about this one, other than the fact that this was my first time using the Stampy Polish and it worked beautifully! I'll definitely be picking up more of it. *I feel like this design element must have a particular name, and I feel terrible that I can't find it anywhere, so feel free to let me know if you know what it's called and I'll update the post!